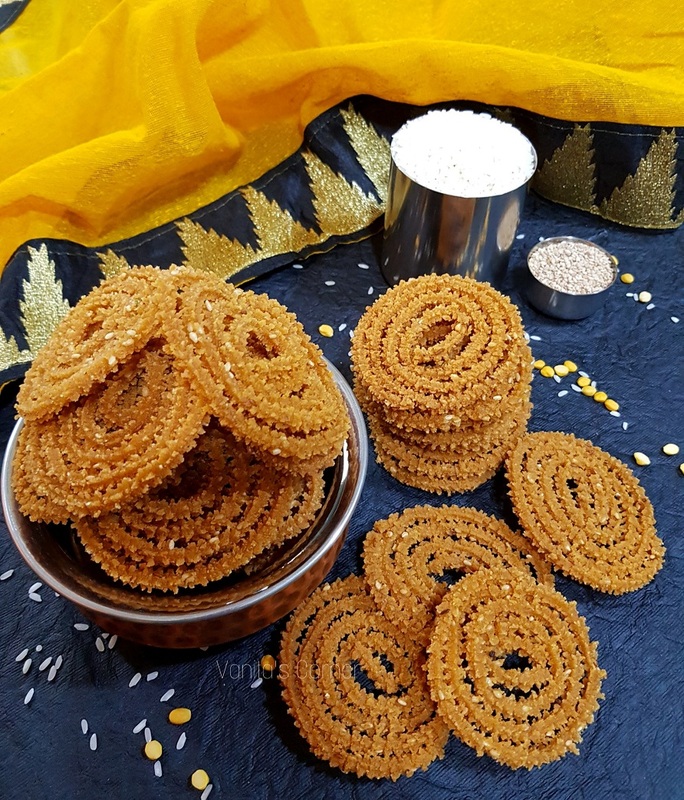 Chaklis are an essential part of Diwali celebration in Maharashtra and Gujarat. 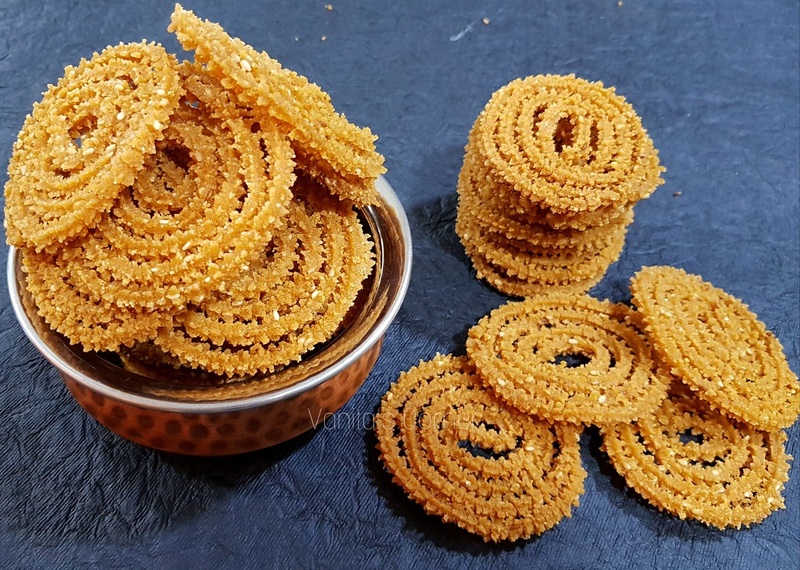 Chaklis can be made with rice flour, wheat flour, maida, moong dal etc. They can also be laced with various flavours such as palak. tomato, methi etc. One such variety of chakli is Bhajani Chakli. Bhajani chakli is made with rice, few dals and spices. The word ‘Bhajaney’ means ‘to roast’ in Marathi. All the ingredients are roasted and then ground into a flour, and so the name Bhajani Chakli. Wash the rice and spread it on a muslin cloth and allow it to dry completely. Dry roast all the ingredients of the chakli flour mentioned above one by one and keep it aside. Blend all the roasted ingredients to a fine flour. Heat a deep vessel and add around 1 ½ cups of water. When the water starts boiling, add red chilly powder, sesame seeds, cumin seeds, salt and ghee. Now, turn off the gas and add the chakli flour into this hot water. Give it a good mix and keep it covered till it cools slightly. Transfer the flour mixture to a large plate. Knead the mixture into a smooth dough using water as required. Take out a small portion of the dough and fill the chakli maker with the dough. Make chaklis on a plate or plastic sheet or butter paper. Fry the chaklis till they turn golden brown in colour. Cool the chaklis and store in an airtight container.